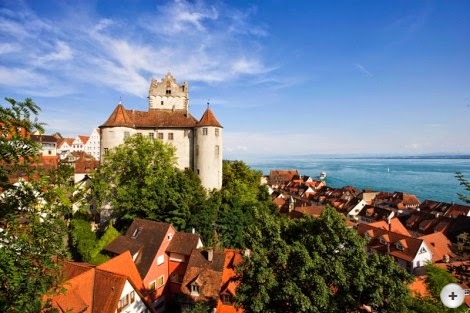 At the shore of Lake Constance nestles a gem with the name of Meersburg. It is one of those towns we can just visit over and over again being enchanted by its unique charm every single time. Its location is spectacular draping up some vineyard enframed inclines offering panoramic views of the lake and the Swiss Alps. The town itself is a cute little ensemble of perfectly well kept historic houses from varying epochs – from intricate stud work houses to renaissance buildings including the new chateau prominently towering on top of a cliff. 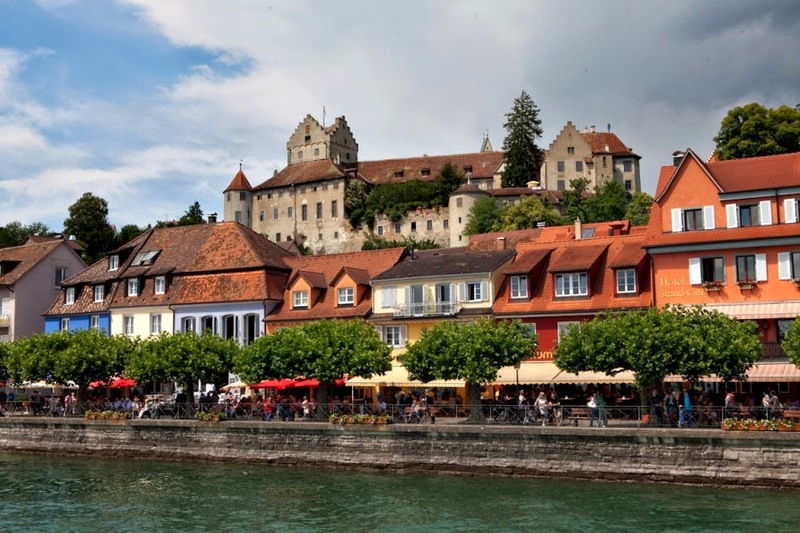 Not to forget is it’s eponym – the castle of Meersburg; icon of the town with a history of over a millennium now, during which it was continuously host to residents, some as famous as the poet Annette von Droste-Hülshoff, making it the oldest inhabited castle in the country. A lovely way (in our eyes but not for the seasick) is to get a glance at the city from a different perspective by hiring one of the paddleboats that are available at two spots close to the harbor. It’s quite a popular endeavor to paddle out with one of these so waiting times might occur, which are easily spanned by a round on the annexed mini golf course though. Throughout the year many festivals are held such as a medieval market, one of the most famous wine festivals in the area and several concerts of various styles. For those who get hungry from all the activities that Meersburg offers we have found the perfect place to eat. 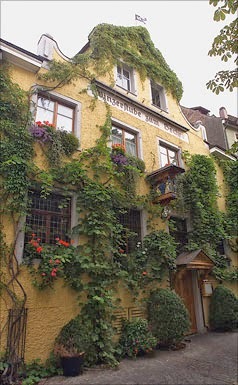 The “Winzerstube zum Becher” has been sitting close to the castle for several hundred years already, ever up keeping its favorable reputation. Admittedly the building has burnt down – twice –in its history. But it has been rebuilt to its former beauty that has now been retained for almost 200 years. Vines climbing up the facade and the back-alley balcony, stained glass windows with the portraits of the family’s ancestors, who are running the place in 4th generation, and an interior of centuries old wooden carvings add to its vibrancy – much unlike many of the tourist rip-offs along the lakeshore. Of course a restaurant as traditional as the “Becher”, which it is called in short, also serves food of the kind. Next to an array of modern local fish dishes and seasonal specialties there is rarely found traditional local fare such as tongue or head of calf, sweetbread, kidneys and snails. Yes, it sounds like it might not appeal to the palate but it’s definitely worth the try! Make sure to have the server inform you about those dishes as they sadly are only listed on the German and not the English menu (as foreigners apparently seldom order them).